Red, received the seat brackets and installed them last night. Easier that I figured, I just followed your directions...not a problem. Took wife out for a night ride, she loved them. Not a problem with foot room and the seat angles back just enough to be very comfortable on a long ride. Thank You very much. Red. I would love to buy a set from you if they are still available. I will try texting you if the phone number below is cell. If I don’t get an answer I will try calling. I will keep checking here but am new to the site and not really good at navigating it yet. 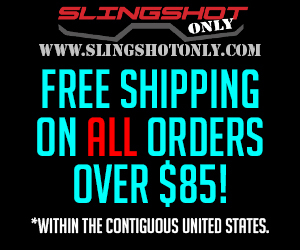 Hello Sir, just purchased a 2016 Slingshot SL LE, no mods. Will your brackets work in my stock configuration? If so, may I buy a set from you? They will work, I sent you a PM with onfo. How do I get the brackets? Interested. Please tell me more. Thank you! The brackets move the passenger seat forward two inches. This allows the seat to recline a little. All the hardware is metric to match oem. Brackets, hardware and priority shipping in the US $50. They will not work if you have both ssv side pods and PRP seats. Any other questions give me a call 816-752-8137. Red I am interested in a set of your brackets if you still have some. How do I send payment? You still selling the seat relocation brackets? Looking at purchasing a set of passenger seat brackets.